The road to the 2018 Winter Olympics in Pyeongchang, South Korea, runs through a pocket square of a town tucked between two interstates in the northeastern United States. Near the 89 and 91 interchange lies the town of Norwich, a hilly and wooded family-oriented farming community in rural Vermont. With a main street lined with white clapboard colonial buildings and a landmark steepled church, Norwich could be a set designer’s rendition of a small New England village. It is a cartographer’s challenge, barely registering on the map with its roughly 1,440 single-family households, including mobile homes, and a musty gymnasium contained within a brick meetinghouse. What it has in abundance is room to roam; Norwich is about a four-hour drive from New York City and two hours from Boston, but it’s not all that popular as a second-home destination—the people who live there really live there. Yet despite its apparent ordinariness, Norwich is home to a probabilities puzzle for the statistics students at Dartmouth College, less than two miles away as the hermit thrush flies. This town of roughly three thousand residents has accounted for three Olympic medals, and, since 1984, has put an athlete on every US Winter Olympics team except one. Like a groundhog poking its head out of its burrow each February, every four years the Norwich athletes leave the cozy, caring cocoon of their small town for the glare of the world’s grandest sporting stage. The well water in Norwich is perfectly delicious, but the town’s outsize success in Olympic sports has more to do with the way it collectively rears its children, helping them succeed without causing burnout or compromising their future happiness. It’s how harried parents across America would like to bring up their children if not for the tiger moms and eagle dads in their midst. The town has much to teach us about ensuring that our children grow up to live meaningful lives in both victory and defeat. But before exploring the phenomenon of Norwich, let me make one thing clear: The town is not representative of the country as a whole. It is overwhelmingly white and mostly middle class, with a median household income of eighty-nine thousand dollars, well above the national average of fifty-six thousand. With its population of professors and doctors, Norwich has the demographic—the wealth and the driven personalities—to be at the vanguard of the helicopter-parenting movement. And yet the town has largely opted out of the athletic and academic arms races being waged elsewhere. Situated across the Connecticut River from Dartmouth College, Norwich used to be dismissed as a cow town by the people in Hanover, New Hampshire, where the university is located. The father of Norwich’s first summer Olympian, kayaker Brett Heyl, who also grew up in the town, recalled many of his classmates, the children of farmers, showing up at school with manure on the soles of their shoes from mucking horse stalls. Such a scenario is unlikely now, but despite its growing affluence, Norwich has retained its bedrock agrarian values and rustic charm. The children of Norwich still have the physical space and parental distance to explore, and discover, their place in the world. Its adults, generally speaking, have traded the acquisitive treadmill for daily nature walks and other grounding experiences. The residents look out for one another, and their connectivity provides a social safety net that no amount of money can buy. Numerous studies have shown that wealth and isolation are two sides of the same gold coin; the more money people have, the more cut off they feel from the friendships and support that can help them navigate difficult times. Niobe Way, a professor of applied psychology at New York University, told me that the social tapestry of Norwich represents a triumph of nurture over the natural order of the modern world, which has given us a wealth-and-acquisition model that favors autonomy over relationships and independence over community. 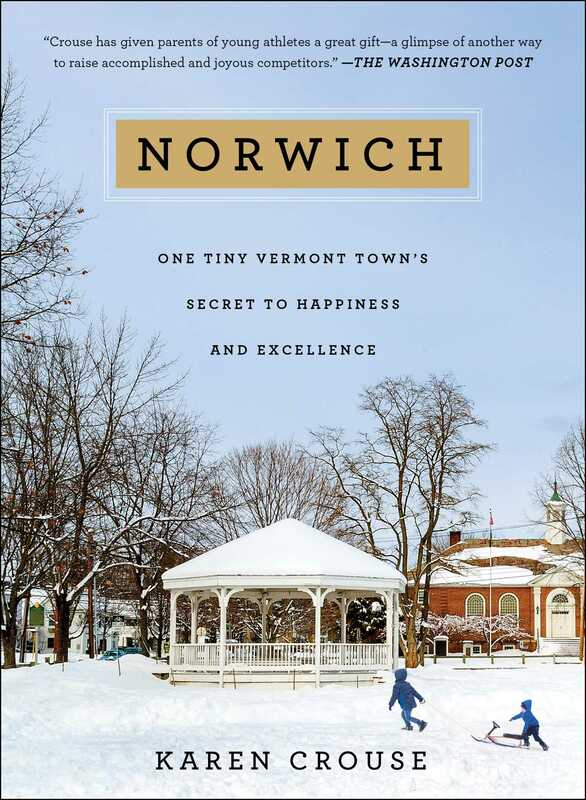 Norwich succeeds as a guide for overwhelmed parents—no matter where they put down their roots—on how to rear kids to be happy champions, resilient competitors, and contented, productive adults. Of course, not everybody conforms to the Norwich model; the town has its share of hovering parents. But almost by accident, the town has created a culture that seems to serve as the perfect incubator for developing the ideal Olympic athlete. Its residents seem to have absorbed a saying passed down through the generations by farmers in the area: “Never going to make biscuits out of them kittens.” The parents of Norwich are not inclined to try to mold their offspring into something they are not. They’re taking their cues from their children, rather than conducting and scheduling their children’s lives. As a result, the town has succeeded in preparing its athletes not just for professional achievement but for fulfillment in their post-sports lives. The Norwich athletes that I came to know seemed to have sidestepped the substance use, anxiety, and depression that often plague Olympians in retirement. Dr. Steven Ungerleider, a sports psychologist who has served in several capacities with the United States Olympic Committee, conducted a study, published in 1997, in which he interviewed fifty-seven retired United States Olympians in twelve sports. Forty percent of the group reported having serious post-Olympics problems. “Many reported that this was the only life they knew and it was inconceivable to do anything else,” Ungerleider wrote. With one notable exception, the Norwich Olympians have managed this difficult transition better than most. Jim Kenyon, a columnist for the local Valley News, described Norwich to me as “Disney World with maple trees.” He would know. He brought up his family in town, and though he is no longer bound to the place by his children, now grown, Kenyon continues to live in Norwich, where his neighbors run the spectrum from mansion owners to yurt dwellers. That he pokes fun at the place but is in no hurry to leave is telling, as is the fact that the town’s unofficial den mother is neither a coach nor one of its celebrated athletes. Her name is Beth Reynolds, the children’s librarian at Norwich Public Library who tailors reading recommendations to each youngster’s personality and whims. Even more than the athletes who compete all over the globe, it is Reynolds who opens new worlds to the children of Norwich. Yet as extraordinary as the town seems, the seeds for its success can be planted and cultivated anywhere. Norwich started producing Olympians at the advent of the television age. A young woman named Betsy Snite won a silver medal for America, and Norwich, at the 1960 Olympics in Squaw Valley, California, the first Games to be televised live in the United States. CBS aired thirty-one hours of coverage over the eleven days of competition. In 2014, when the most recent Norwich Olympian, Hannah Kearney, competed in her third and final Games, in the Black Sea resort of Sochi, Russia, NBC showed fifteen hundred hours over eighteen days. The town has had a front-porch seat to the rise of the commercialization and professionalization in the Olympic movement. Betsy retired from skiing shortly after the 1960 Olympics, and only then was she able to endorse and promote skiwear without fear of losing her amateur status. By the time Hannah arrived on the scene some forty years later, the model had changed. She was paid as a product endorser for clothing and ski equipment while she competed, but most of her sponsorships dried up after she retired. Television turned out to be the Games changer. The exposure from global broadcasting partners attracted transnational corporate sponsors, which turned competitors into commodities and muddled the original message of the Olympics as a worldwide celebration of sport. I was reminded of how much the Norwich model matters when I returned home from covering the 2016 Summer Games in Rio de Janeiro. Several of my friends told me they hadn’t bothered watching the competition. They were over the Olympics as must-see TV and were talking about the event as if it were a reality show they had once enjoyed immensely but now found fraudulent. So many unsympathetic characters! So many farcical story lines! How could they root for athletes with cartoonish muscles who were likely to win medals only to later fail tests for performance-enhancing drugs? They expressed a nostalgic longing for the star swimmers and runners of their youth, who seemed more accessible and personable and less greedy and entitled. The consensus was that the Olympic movement was buckling under the weight of its excesses. Norwich is why all is not lost. How can you not root for the ski jumper Mike Holland, who progressed from “a flying sack of potatoes”—a label slapped on him when he was an ungainly young jumper—to a two-time Olympian? Or Andrew Wheating, who found his way to the track as a high school senior and less than three years later ran in the Summer Games in Beijing? And what about Hannah, who overcame her aversion to backflips to become a trailblazing moguls skier? Mike, Andrew, Hannah, and the other Norwich Olympians went for broke in their sports but didn’t get rich—and they didn’t much care. The sports enriched their lives, and that was what drove them. Norwich probably will not like that it has been made the subject of a book. This is a town with such an aversion to publicity that it tried to ground Mary Poppins. The Disney character may be perfect in every way, but several Norwich residents did not take to double-sided commercial banners for a 2015 holiday production of the musical with a spoonful of sugar. The signs appeared like a row of floating dominoes that stretched from the Ledyard Bridge one mile outside Norwich to the library in the town center. On an Internet community board, posts decried the banners as visual litter threatening the town’s natural beauty, and a few people said they would boycott the production in protest. I talked to parents in Norwich who have banished televisions from their homes because they don’t want their children to be exposed to commercials. Norwich is a place with deep agrarian roots, and that still shows. The town was founded in 1761 as a farming community. While farmers were eventually replaced by doctors, academicians, and white-collar workers employed by Dartmouth and its hospital, Norwich remains true to the tenets set forth by the original homesteaders—hardworking people who did not manipulate their crops to make them turn out a certain way or try to accelerate the growth of their animals by injecting them with chemicals. Instead, Norwich’s residents have simply made judicious use of the resources on offer. In the nineteenth century, fortune hunters flooded the area as part of the Bridgewater gold rush, only to discover that the land did not lend itself to quick riches. Those who stayed found a way to make the flinty terrain bear fruit. Over the past half century, the same has held true in the quarrying of Olympians. For the most part, the Olympians of Norwich did not sacrifice their childhoods by specializing in one pursuit to hasten their progress. They grew up changing activities with the seasons. The sports that offer the greatest exposure in America, and therefore the greatest potential for fame and fortune, are not the sports that typically capture the imaginations of Vermonters, who are known for their fiercely independent, contrarian personalities. The chain of Olympians includes no figure skaters, perhaps the most glamorous of the winter athletes. Instead, Norwich is brimming with ski jumpers and freestyle skiers throwing caution to the wind and pushing the boundaries of risk and reward. In their pursuit of excellence, the Olympians of Norwich collectively have overcome a broken back, numerous concussions, and scores of broken bones. Kevin Pearce sustained a brain injury forty-four days before the start of the Vancouver Olympics in a training accident that ended his competitive career. But it did not really slow him down. The subject of the 2013 documentary The Crash Reel, Pearce now fills his days with motivational speaking and working with his nonprofit organization, Love Your Brain, to improve the quality of life for those affected by head trauma. The Norwich athletes know the risks involved in their extreme sports but are undeterred. Nearly three years after her Olympic gold-medal performance, Hannah sustained a bruised liver, two broken ribs, and a punctured lung in a training accident. She returned to competition three months after the October 2012 accident and finished the 2013 season by winning one of her six overall World Cup moguls titles. Like Vermonters who make the best of their unforgiving winter climate, the Norwich athletes accept that growth begins where one’s comfort zone ends. Their fuel is renewable, and their drive was summed up by Hannah when she said, “A lot of satisfaction in life is cultivated by working towards a goal because you feel organically motivated and truly happy about your choices.” Sage words, because in the end, few Olympians are able to cash in on their medals in what has become an oversaturated market. In 1960, when Betsy Snite became Norwich’s first homegrown Olympic medalist, the Winter Games program included twenty-seven events. In 2014, when Hannah became the most recent, the program had grown to ninety-eight. During my first visit to Norwich, I attended a reading by Deirdre Heekin, a local restaurateur, farmer, and author, at the town’s two-story clapboard bookstore. There to promote An Unlikely Vineyard, Heekin read from a chapter that focused on the five factors she identified as key to farming success: geography, variety, climate, culture, and the individual. Heekin explained how the remaining farmers in the area produce remarkably successful yields through their canny use of the climate and location and their commitment to planting a rich variety of crops. They are considered a bit eccentric by the fresh arrivals from suburbia who can’t understand the farmers’ penchant for spreading their animals’ manure in open fields near their property to fertilize the grasses or sleeping with a baby lamb born in the chill of winter to a mother who died or rejected it. And yet the farmers and the newer arrivals can both agree on the communitarian values that shape the town’s athletes. Heekin’s descriptions carried me home to Santa Clara, California, in the early 1970s, where the air was fragrant with apricot blossoms from the orchards when we moved to the area when I was eight, my salesman father hoping to escape the work-first, family-second culture in Harrisburg, Pennsylvania’s capital. Our arrival coincided with the beginning of the technology boom, which would fundamentally change the area through its nurturing of a culture that is all about new ideas and quick turnarounds and an achievement-based, money-oriented approach that ushered in an era of material acquisition. The city attracted newcomers intent on disrupting the status quo—to remake it, not perpetuate it. Today Santa Clara is the epicenter of the job-centered lifestyle. And while the families have shrunk (from 3.18 people per household in 1970 to 2.68 in 2010), the wood-and-stucco residences that cocoon them have become supersized. Where Craftsman houses once left dainty footprints on large lots, McMansions now sit shoulder to shoulder. The fruit orchards are long gone, and so is all the affordable housing that helped cultivate an expansive middle class. When I talked to people who lived in Norwich forty years ago, they bemoaned the disappearance of farmland, the appalling rise in house square footage, and the newly paved roads or streets renamed because, as one old-timer said with a sniff, “The original names sounded too country.” But unlike with residents of Santa Clara, the changes they speak of remain essentially cosmetic. In Norwich, while people move in and out and existing homes get makeovers, the character of the place persists. Norwich has its own police, fire, and water departments. Its downtown is anchored by a historic thirty-nine-room inn; a general store; and a post office, and includes a bookstore; a couple of fine restaurants; offices for architects, lawyers, accountants, and psychotherapists; boutiques; a hair salon; and Tracy Hall, the center of the town’s operations. The surrounding terrain is hilly, and many of the locals like to turn their sloping backyards into bunny hills or beginner ski jumps. The closest major airport is a ninety-minute drive, and in the winter moose crossings and icy roads can make the journey feel like a settlers’ crossing. The town is remote enough that it remains hidden except to those who are looking for it. I talked to townspeople who bought their homes sight unseen, so eager were they to put down roots in Norwich. Dartmouth’s relationship with the surrounding community is a model of how a well-endowed educational system can give back. Athletes and staff members volunteer their time to work with the youth in the area at a ski school that was started in the late 1930s by a Dartmouth graduate to introduce local children to the sport. The college-owned Skiway, which opened in 1957 and has more than a hundred acres of skiable terrain, was the childhood playground of all the Norwich Olympians but Snite. The university’s forty-five-meter jump where Jeff Hastings and Mike Holland honed their skills as teenagers has been dismantled, but young skiers can still take flight at Hanover’s Oak Hill, where Hastings and Holland continue to volunteer their time as instructors. The Olympic athletes from the town don’t seem in any hurry to leave. With few exceptions, when their competitive careers are over they unpack their bags and stay put, because they want their offspring to enjoy the same experiences they had. They join family businesses or hang their own shingles and serve as instructors on the side. By staying they become living monuments for the younger generations, who grow so accustomed to seeing Olympians in their midst that they consider the Olympics almost a rite of passage, right there with going to college. The athletes of Norwich live side by side with ex-jocks, like the father I met during a recreational league soccer game who worked in New York’s Financial District and in San Francisco before giving up his high-powered job to become a teacher. Clayton Simmers starred in lacrosse at his high school in Potomac, Maryland, and competed with distinction at Yale before earning his MBA at Dartmouth’s Tuck School of Business. After college, he embarked on a business career with Merrill Lynch in Manhattan and worked for a start-up in San Francisco before moving with his wife, Susan, a fellow Tuck School graduate, to Norwich to bring up their two sons. He cheerfully allowed that he was underemployed, having decided the trade-off—less money but more time with his family—was worth it. His work as a third-grade teacher leaves him with time to coach lacrosse through the Norwich Recreation Council. Simmers played multiple sports growing up, and he and his wife are in agreement that a well-balanced childhood is beneficial to their kids’ overall development. They blend in seamlessly with the now-grown children of Norwich who left to attend college and start their careers, only to find their way home after they became parents. They accept the town’s high taxes as the cost of having quality public schools and town services. Many work as telecommuters, setting up mobile offices in their cars in the library’s parking lot to take advantage of a strong cellular signal and the library’s Internet hot spot. Norwich is not a place that is tightly tethered to technology. Cellular and Internet connectivity remain spotty, which helps explain why many of the townspeople I talked to carried flip phones in their purses or pockets. Why buy a smartphone when its bells and whistles are effectively silenced by hills and forests? The townspeople have their favorite chat rooms and social platforms, but these are physical spaces—in the aisles of the general store, at the gym or downstairs meeting room in Tracy Hall, in the shops along Main Street. Norwich does have a time-warp feel to it that extends beyond its potholed information superhighway. The town is listed on the National Register of Historic Places. And even in the coldest part of winter it is a warm place, with people inclined to treat strangers kindly. When a “Welcome to Norwich” sign was erected to greet travelers arriving from Interstate 91, Dartmouth, or the Appalachian Trail, it prompted grousing among a few old-timers who were of a mind that hospitality should be extended rather than advertised. The town’s de facto chamber of commerce is the family-owned general store, Dan & Whit’s, whose slogan could double as the town motto: “If We Don’t Have It, You Don’t Need It.” The gathering spot has served as the site of at least three weddings, with Dan Fraser, who runs the store, officiating at a makeshift altar between the narrow aisles of flannel shirts and work pants. Teenagers in town looking for a part-time job know to reach out to Fraser, who will hire them to stock the shelves or work the cash registers. The store’s currency is trust, with groceries added to a running tab that is paid off at the end of the month. For the town’s poorest residents, the 6 percent who live below the poverty line, their debt, more often than not, is quietly forgiven. Even though Norwich is relatively affluent, its model has always been one of equity. 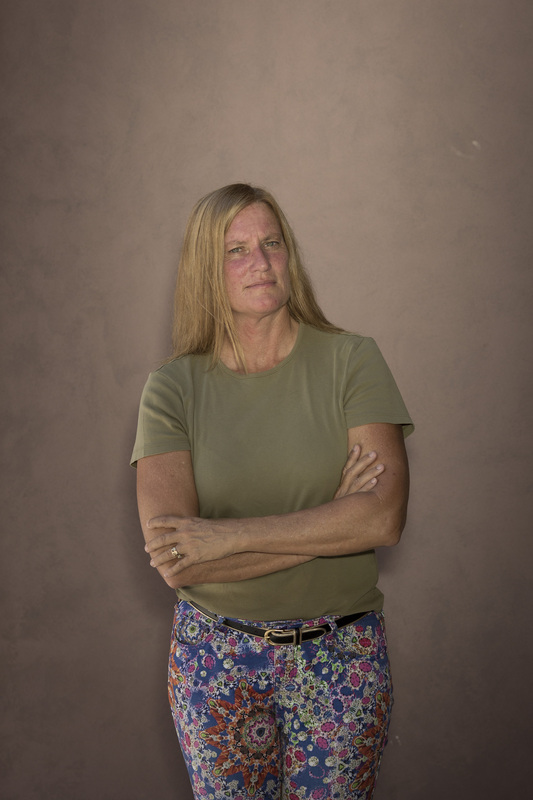 Nearly two decades before Dartmouth would welcome the first women into the freshman class, Betsy Snite, the town’s first homegrown Olympian, grew up skiing alongside the college boys. The Ford Sayre program, where all the Norwich Olympians got their starts, was one of the first children’s ski programs in the country, offering instruction to girls in an era when beauty still trumped brawn, as borne out by sports events that included pageants as part of the competition. Norwich is also generous in helping neighbors who are less well off. It is the kind of place where a man dies and leaves his estate to the town with the condition that his money be used to ensure that no child endures a winter without a new pair of mittens. People contribute money for scholarships for drawing, painting, photography, and writing classes. Or they volunteer to flood the town green during the winter so that elementary school children can skate before and after school. A local artist, Paul Sample, allowed part of his property to be used as a ski jump regularly frequented by Jeff Hastings, Mike Holland, and their brothers. The jump is overgrown now, but if you look hard you can make out the Bob Hope nose of a ramp. A ski run cut through the property where Betsy Snite grew up. The towline that carried the children to the top of the hill was powered by a Ford truck engine. Many a day of skiing ended with cups of hot chocolate and parents and children gathered around a bonfire toasting marshmallows. Goodrich Hill, Sadler’s Hill, Lyle Field, and Booth Field were all places whose owners allowed the local children to traipse up and down their private property. Those ski playgrounds may be gone, but other traditions remain very much alive. Every Wednesday during the winter, the elementary school in Norwich still lets out early to facilitate family skiing. Children can ski alongside their parents or receive free instruction from Olympians. A mother of three told me that it is hard to steer her children away from the ski slopes when they have the opportunity to learn from the best. Hump days were also the next best thing to snow days for Hannah Kearney, who chose her outfit for school with special care on Wednesdays. “I always wore something that I could change out of quickly,” she said, the better to wring the most daylight out of her afternoon on the mountain. While her sport is increasingly populated by burnt-out gymnasts and divers who trade one obsession for another, Hannah embodied Norwich’s adherence to nature’s rhythms. She changed sports with the seasons. So did Tim Tetreault, a three-time Olympian in Nordic combined whose decision not to attend high school at a specialized sports academy paved the way for his world record feat as a senior at Hanover High in 1988. Tetreault teamed with a dozen of his classmates to break the Guinness world record for marathon leapfrogging, logging 888 miles over eight days of continual jumping in alternating shifts. Years later, when Tetreault included the feat in his résumé, he said prospective employers were more inquisitive about his role in the leapfrogging world record than his three Olympics. As a town, Norwich bucks the trend toward single-sport specialization, the privatization of youth leagues, and the Darwinian view of youth sports that normalizes cutting all but the most skilled players. Even now in Norwich, recreational teams don’t have cuts, affording every youngster the chance to participate in any sport. Having spent my journalism career observing the antics of win-at-all-costs coaches while wedged in the bleachers alongside parents micromanaging their children’s play, I was not prepared for my first recreational-league soccer game on the town’s fields at Huntley Meadow. On the crisp autumn Saturday morning that I spoke to Simmers and his wife, their son scored two goals in quick succession. After his second score, the coach motioned the boy over to the sideline and told him it was time to take a breather. He substituted another player for the boy, and neither parent challenged the decision. They just continued talking to me as if their son getting pulled from a game after scoring two goals was perfectly normal. Norwich has a deep aversion to pushing its children too hard too soon. The public high school limits the number of Advanced Placement courses. And during one of my visits, the local paper, the Valley News, ran a front-page story in which teachers called for further reducing their high school students’ stress, in part through independent study and special projects. The town’s climate, both the literal seasons and its collective values, fosters an unhurried approach to life. The speed limit on the main road through town is 25 miles per hour, and a furor erupted on the community Internet message board when speed bumps were installed on one road near the hiking trails to foster the safe coexistence of cars, joggers, dog walkers, and bicycle riders. Underlying the argument against the speed bumps was the belief that any commuter who found the posted speed limit too restrictive is perhaps better off living somewhere faster paced. Norwich’s steadfast encouragement, and the support offered without judgment, provides the perfect platform for the kind of risk taking that launches innovators like Kevin Pearce and Hannah into the great unknown. Now is a good time to revisit Norwich’s well-balanced athletes. The billions of dollars spent to broadcast events like the Olympics has turned sports into big business. The rise of all-sports TV networks has created mass exposure where there once was little for events like the Little League World Series or high school football, causing the pro model to trickle down to youth sports. The stars of championships who used to draw scant public attention become overnight sensations, little pros in training. While researching this book, I heard about third graders from a state bordering Vermont who are required to sign contracts stating they would choose soccer over any conflicting activities on game days. I read about teenage pitchers who are blowing out their elbows because they are throwing too much, too hard, too soon. In their efforts to help their children earn an athletic scholarship, make a US Olympic team, or turn pro, scores of parents now treat sports like law or medicine—as another prestigious profession to be pursued with a singular focus. Parents and coaches should strive to develop the next Jim Holland, younger brother of Mike and a two-time Olympic ski jumper who took the skills he honed in his sport—discipline, determination, perseverance, and goal setting—and applied them to starting a successful business. In 1996, he cofounded backcountry.com, a Utah-based online retailer that specializes in outdoor clothing and equipment. The president of the San Francisco–based strategic equity investor that bought the company in 2015 lauded its “strong brand heritage and authenticity.” In other words, the company was a reflection of Jim, who was, in turn, a reflection of the town that shaped him. Where were the Olympians who were in it for the joy? Hannah Kearney’s remark about the well water wasn’t so far off. Norwich does have an old-fashioned tonic to cure what ails contemporary sports. Like their farmer forebears with their crops, the parents of Norwich learned through trial and error the best methods of nourishing happy athletes; by valuing participation and sportsmanship, and stressing fun, community, and self-improvement. This is the story of how they did it.